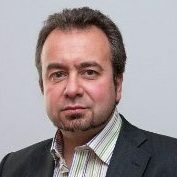 Dean Bubley is Technology Futurist and Founder of Disruptive Analysis. He is a prominent, influential & outspoken technology industry analyst and consultant, specialising in the telecoms, mobile and wireless sector. He has helped numerous global telecom operators, vendors, startups, regulators and industry bodies.